be grateful to God. When lunatic patients can't even perceive the world we're living in, most serving jail sentence also can elucidate better the merit of the word "FREEDOM" . 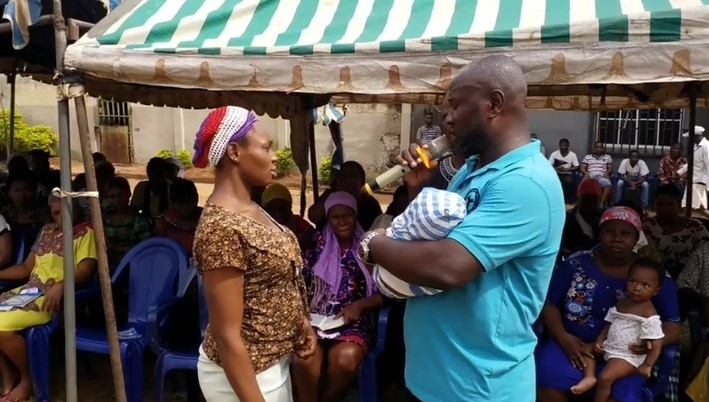 Evangelist Christian Chukwuka, the founder of Abounding Grace Foundation has shared heartbreaking photos of a one-month-old baby and her mother who are currently held behind bars at a Nigerian prison. He recently paid a visit to some women in a prison in the South East. The baby identified as Onyedika was reportedly thrown in jail along with the mother after her sentencing for a crime which wasn't revealed. 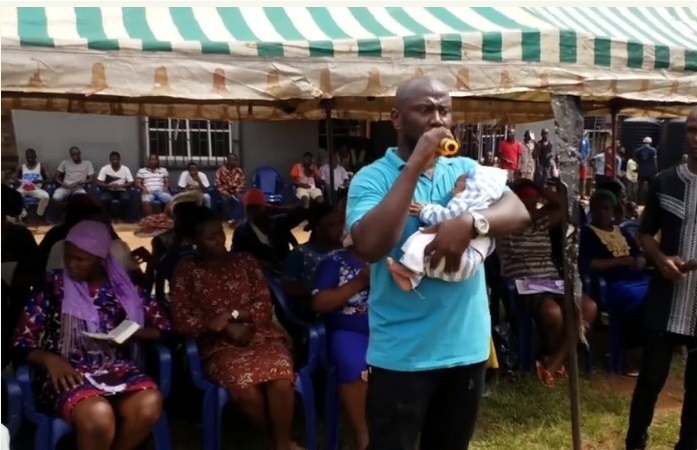 In his Facebook post, the evangelist asked, "are babies supposed to serve prison sentence with their mother or be kept in motherless babies’ home or with their relatives outside until mother is released". The Evangelist also revealed that there are over fifty babies who are under silent pain with their mothers in prison.